Wearables are mostly preferred with smart outfits as well as smart shoes, but smart glasses didn’t meet the same success. No, one prefers to put on Google Glass or any kind of Smart Spectacles. The problem that comes is, no one wants to put on those techie spectacles with trending fashion. But now, there is a smart solution to turn your glasses into smart glasses without the techie look on them. The smart way is PogoCam from PogoTec. This is basically a small wearable that attach to your spectacles and can capture photos and HD videos with your glasses. PogoCam will provide all the benefits of the Snapchat Spectacles or Google Glass without buying those. 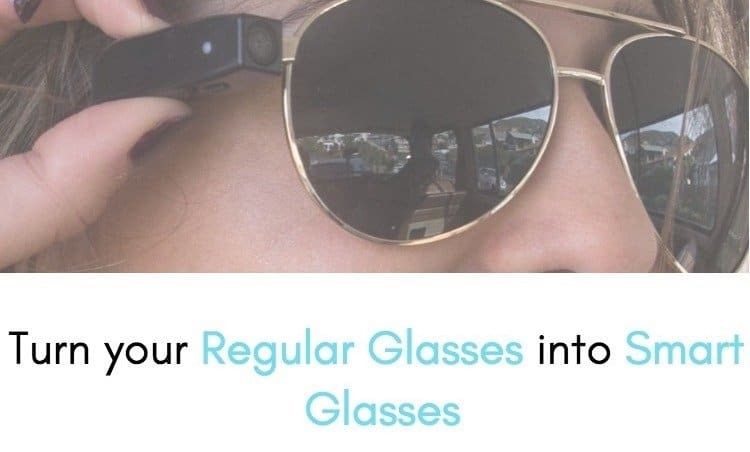 To turn your regular glasses into smart glasses, you just to need to buy PogoCam and attach the magnetic camera to the side of your regular glass. This camera will record memories with just a touch of the top button. Isn’t it easy and cheap way to turn your regular glasses into smart glasses in just $149. You can easily remove the camera when you are not using it or another way is to slide the camera at the back of your glasses. Let’s see some of the best features of PogoCam that will help you decide your buying decision. The best feature of the camera is that it is unobstructed, lightweight and will not disrupt the look of the eyewear. This camera weighs 0.2 ounces and despite its small size, it is capable of holding 100 photos and six 30 seconds videos in a single charge. When you run out of memory and you need to empty the storage of the camera, you can just transfer the content to the pocket-sized smart case. This smart case holds the capacity of storing 16000 photos and 180 thirty seconds videos. The photos have a 5MP resolution and videos are in 720p. You can simply charge the camera by placing it in a smart case when you run out of battery. You can also transfer your photos from the included smart case, wirelessly to your smartphone with the help of Bluetooth. The powerful magnet holds the camera still and keeps it steady even if you are driving at high speeds on a motorbike. Another attracting feature is that it is water and sweat resistance. 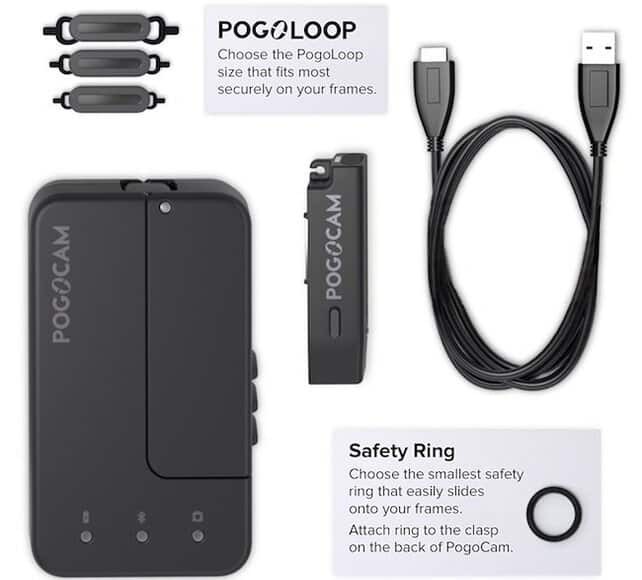 PogoCam has proved to be a perfect companion for any kind of adventure and you don’t need to take out your cameras again and again for taking a snap. So, this is how you can turn your regular classes into smart glasses without buying the expensive wearables. What do you think about PogoCam? Would you buy it to capture some awesome photos and videos while on the move. If yes, you can buy it from the below link.